Thank you so much for the honour and invitation to give the dinner speech today. This is my third year of joining the Yenching symposium in as many years of being in China, and as always it is wonderful to be in a room with such a diversity of faces and intellects. I’m sad to have missed the earlier speeches and discussions. But I trust they were all fascinating, as I know Yenching has a great reach and attraction within China. My speech this evening is all about celebrating “us”. Us as people, us in terms of our diversity. It is more specifically about what celebrating “us” and “diversity” can really mean for global cooperation, and shaping China’s own journey in the rest of the world, the overall theme of the conference. You may have read a bit about my biography. I’m a diplomat, economist and award-winning writer, turned entrepreneur. 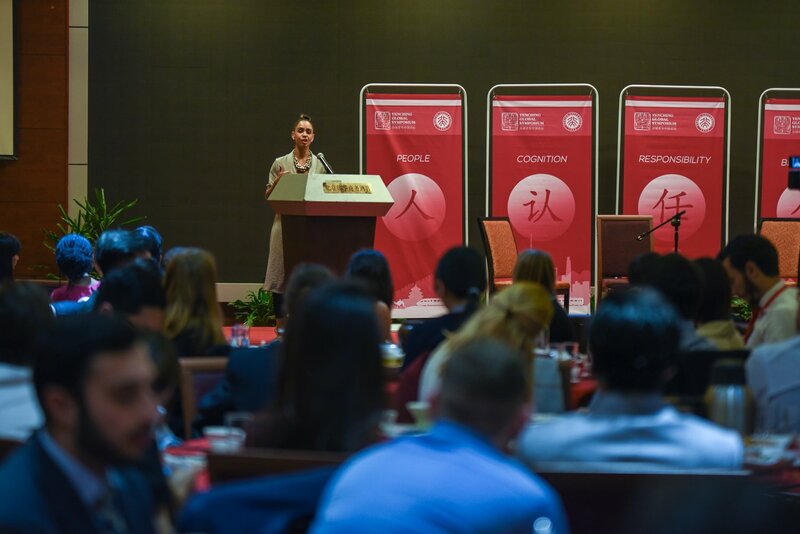 In particular, in 2016, after 15 years of working in the government and UN, and becoming a mother, I took the leap to open a new international development consultancy and think-tank in Beijing – called “Development Reimagined” in English, and “睿纳新” in Chinese – meaning far-sighted and innovative. What might be surprising to many of you is that the consultancy is the first ever Kenyan Wholly Foreign Owned Enterprise (a WFOE) in China. But most people that come here from developing countries set up as joint ventures, which is a fair choice for many reasons. But I decided to set up as a WFOE to demonstrate that these kinds of businesses can and should flourish here. Our ultimate aim as a consultancy is poverty reduction all around the world. 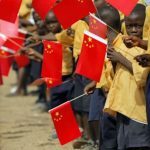 But being based here in China, Development Reimagined has built a special niche and reputation in supporting governments, businesses and others from African countries get the most out of their relationship with China. We also help the other way around – supporting Chinese ministries, businesses and non-governmental organisations (NGOs) to understand African and other countries better and have a positive impact. I am proud to be building a diverse team in order to do so, and I believe this is fundamental to our success and unique selling point”. I love to bring together people from different cultures into an office. Much, as I believe, Yenching does. It’s one of the reasons I really valued working in the UN. Here in China, at the time, our office had staff from China, Nigeria, Canada, Kenya, Denmark… literally all over. And the majority of the staff were women too. But where our work is different to the UN and the other organizations I’ve worked in is that one of the values I ask anyone working with us to sign up to is all about empowering our ultimate clients – poor people. I want everyone in our team to recognise that development involves real people, like you and I. Poor people are not “them”. They are “us”. And diversity – in gender, race, social background, physical abilities, sexual orientation, age – is key to realizing that. Let me give you two concrete examples. One more related to our daily life and one in the international relations area. How many of you have seen the movie “Black Panther”? Well, I think the last time I was in a room this international was at the Black Panther premier here in Beijing, just over a month ago, which was a very special event. But what I found very special about the movie, especially watching it here in China, was that the storyline was actually quite similar to China’s own rise. Here was a country who had been closed to the international world for a long time, developed using its own natural resources, its own people, educating them and encouraging them to innovate, and only slowly, somewhat reluctantly, opening up to the world. And it took a black person to write that. Had they not, had a white American written it, maybe it wouldn’t have had the same storyline and the same resonance in China, let alone the rest of the world. The lesson? Having diversity means more global success. Now, here is the serious part. Here in China, I believe diversity is equally, if not more crucial in terms of international relations work. Take one aspect of China’s cooperation. For decades, China has advocated a “win-win” approach to cooperation with poorer countries. Win-win is a key aspect of the Belt and Road Initiative. But the Chinese government is acutely aware that many aid projects have not been as successful as it would have liked. China’s most recent white paper on Foreign Aid, issued in 2014, had few examples with quantitative results. It is forcing China to approach others to see how they deliver results and avoid project failure. Hence, the increasing openness of the Chinese government to trilateral cooperation, and the recent opening up of China’s South-South Aid Fund, announced in 2015, to UN agency applications. The caveat? Chinese aid administrators specify that they need to deliver quick and quantifiable results, leading most UN agencies to submit humanitarian assistance proposals. That’s fine in the short term, but ultimately what is needed is much more consultation and ownership from the poorer, recipient countries. Despite some progress with the 17 UN Sustainable Development Goals (SDGs), which were agreed in 2015, and reflected what poorer countries need a great deal more than their predecessors the Millennium Development Goals, the voice of poor countries and poor people still remains a persistent open gap, not just with respect to China but also with regard to aid from OECD donors. How would a recipient voice better shape these developments? Only through really thinking these issues through in a more complex way can we find sustainable solutions. And that’s why diversity is crucial. No one person can come up with the right solution. No one culture can come up with the right solution. In development and international relations in particular, we need to have conversations where we make links between benefit systems in the UK or China and cash transfers in Bangladesh or Malawi, and use this critical thinking to come up with new innovative ideas and approaches. Diversity is crucial to having an “us not them” approach. The UN SDGs rightly recognised that poverty is not confined to poor countries. It is also a problem and needs tackling in emerging and rich countries, such as the US or Germany. This is a hopeful start, because it encourages empathy in aid. But whether in Britain or China, aid agencies and other actors working internationally must have diverse – in terms of race, class, sexuality, physical ability, age – staff, consultants and organisations. Of course, as a short-term measure, trilateral cooperation projects can help, as can new joint partnerships between think-tanks, universities or businesses across the world. But in the end, diversity needs to be embedded, and that’s why I love Yenching so much, and where I want to say something about your special role as Yenching scholars and delegates. As you listen to the speeches and engage in the discussions over the next few days, as you decide on your careers and shape the institutions you work in… Remember the “us” not them approach. Keep your own experiences and cultures in the forefronts of your minds. Because they have value. Your diversity has value. It should be celebrated, and in particular it should help shape China’s own journey in the rest of the world.